What makes Wexford sing? It’s our people of course. We like who we are and where we’re from. Take it from the word of our Wexford Ambassadors. If you would like to find out more about what makes us tick here in Wexford, then read about some of our people who are doing us proud in the worlds of art, culture, sport and business, on the national and international stage. Our Ambassadors will tell you stories of what it means to come from this corner of Ireland and how their Wexford roots have inspired them. While enjoying hugely successful careers, these people continue to find the time to ‘put on the Wexford jersey’ and share the pride we have in our county! John Banville was born in Wexford in 1945. John was educated at the Christian Brothers school and St Peter’s College in Wexford. John worked in journalism for many years, first on The Irish Press and later The Irish Times, where he was Literary Editor from 1988 to 2000. John’s novels include Birchwood, Kepler, The Book of Evidence and The Sea, which was awarded the Man Booker Prize in 2005. John is the recipient also of the Guardian Fiction Prize, the James Tait Black Memorial Award, a Lannan Foundation award and the Franz Kafka Prize. Under the pen-name Benjamin Black he has written a number of crime novels, including Christine Falls and A Death in Summer. One of Ireland’s greatest trainers, Jim Bolger was born in County Wexford on December 25, 1941. The son of a farmer, he was educated at Enniscorthy CBS and the College of Commerce, Rathmines, and worked as an accountant before taking out a licence to train in July, 1976. He has enjoyed tremendous success as a trainer since taking out his licence and is adept at getting the very best out of all of his charges. From humble beginnings, he has built up a fine training establishment from his base in Coolcullen, Co. Carlow, as well as a remarkable breeding operation that has helped him capture many big races around the world in the last three decades. Internationally acclaimed writer Eoin Colfer was born in Wexford in 1965. He attained worldwide recognition in 2001, when the first Artemis Fowl book was published and became a New York Times Best Seller, as did some sequels. Among his other popular works are Half Moon Investigations, The Wish List, The Supernaturalist, and a series of Eoin Colfer’s Legends. In January 2008, Colfer published a book titled Airman, another best-seller. To date, more than half of his books have reached the New York Times list at least once. Though he travels the world to meet his readers, Wexford is still his home. Gordon D’Arcy has proven himself to be one of Europe’s top rugby players during his career in a golden era for Leinster and Irish rugby. Born in Ferns, Co. Wexford, he has represented Lansdowne, Leinster, Ireland and the British and Irish Lions with great distinction. Among the many highlights were a Six Nations Player of the Year award, multiple triple crowns and the historic Grand Slam, while with Leinster he has won two Heineken ERC titles in 2011 and 2012. He retired from professional rugby in 2015 and now writes opinion pieces for the Irish Times focused on rugby. David is Ireland Country Leader and Senior Vice President at Salesforce, and is based at the company’s Irish headquarters in Dublin. Prior to establishing Salesforce EMEA, David held executive positions at Oracle, in both the UK and Ireland, including 9 years spent as Head of Ireland Consulting Services.David is a certified Member of the Institute of Directors and has both an MBA (2005) and DBA (2015) from Waterford Institute of Technology. He is a proud past pupil of Wexford CBS and a long-term member of Wexford Lions Club and served as Ireland District Governor for Lions Clubs International in 2008/2009. Anne is a native of Ferns. She was educated in Loreto Gorey and UCD. She studied for a BA in History and English and a H Dip in Education in UCD. Anne worked in the Department of Foreign Affairs before joining RTÉ as a newsreader in 1978. Anne presented the main evening bulletins for the next thirty-three years, until retiring on Christmas Day 2011. In that time Anne worked on almost all the big stories of the day and served as a member of the RTÉ Authority for five years. Kevin Doyle, the Republic of Ireland international professional soccer player and winner of the FAI’s Player of the Year award, was born in Adamstown, Co. Wexford. After a hugely successful underage soccer career in Wexford, Kevin came to international prominence playing with Reading. His hard work, direct style of play and eye for goal meant he was snapped up by Wolves for a record fee in 2009. He finished his professional soccer career in the United States with Colorado Rapids. He made 62 appearances for Ireland scoring 14 goals. In February 2018 Kevin took a job with the Wexford Under-20s GAA football team. Tadhg Furlong is a very proud Campile man and is well-known to spend a lot of time in the New Ross area where he supports not only his beloved New Ross Rugby Club but also Good Counsel College where he spent many of his formative years. Tadhg made his senior debut for Leinster Rugby in November 2013 and has appeared 92 times picking up Pro 14 and European Cup titles in 2018, he made his Ireland senior debut in August 2015 against Wales and was part of the Grand Slam winning Irish Squad in 2018. He has also appeared 3 times for The Loins as part of the 2017 tour of New Zealand. Michael Londra is from a singing family in Wexford Town but is now based in Chicago. He started as a boy soprano with Sr. Mary Walsh in her Children’s Choir, performing in several productions of Wexford Festival Opera. He sang locally with the Wexford Male Voice Choir, Rowe Street Folk Group, Oyster Lane Theatre Group and Wexford Light Opera, before moving to a professional singing career at age 31. He has been involved in many productions around the world as an artistic director and producer. Michael is an ambassador for Concern Worldwide with visits to Haiti and several of his CD releases raising considerable awareness for the charity. He is a proud advocate in North America for the Visit Wexford campaign. Charlie hails from Enniscorthy and is a highly successful actor. She is possibly best known for her award-winning roles in Love Hate and Peaky Blinders. Charlie’s many films include TO WALK INVISIBLE, THE FOREIGNER, the multi–award winning “71”, together with PHILOMENA, NORTHMEN and most recently DARK LIES THE ISLAND Charlie’s Television work includes PEAKY BLINDERS, HAPPY VALLEY, REBELLION, THE LAST KINGDOM, THE VILLAGE (for which Charlie received an IFTA Best Supporting Actress nomination) QUIRKE, RIPPER STREET and of course LOVE / HATE for which she twice won Best Actress at The Irish Film and Television Awards. Charlie’s talents also extend to the Stage where she has appeared as Eliza Doolittle in PYGMALION while also starring in OUR FEW and EVIL DAYS, DISCO PIGS, BIG MAGGIE, and THE SILVER TASSIE, to mention just a few. James a native of Kiltealy in County Wexford is Managing Director of Microsoft’s Business Operations International, headquartered in Dublin, Ireland. He has responsibility for leading teams based globally in America, EMEA and Asia. In this role James leads the 580-strong team who manages end-to-end operations for 85 markets, enabling the delivery of world-class Device & Service solutions to Microsoft’s Customers and Partners. He also has global operations accountability for Microsoft’s Enterprise Services and Dynamics Businesses. Aidan O’Brien born in Co Wexford in 1969 to Denbis and Stella O’Brien a farmer and small scale horse trainer in Killegney near Poulpeasty and has been Irish Champion Flat trainer in terms of prizemoney won in every season since 1999. He began his career with Curragh trainer PJ Finn and was later assistant trainer to both Jim Bolger and Annemarie Crowley who he was later to marry. Aidan took out his trainer’s licence in 1993 and his first winner was Wandering Thoughts at Tralee in June of that year. In the early stages of his career, he broke all manner of records in National Hunt racing in terms of winners trained. His remarkable success continued when he moved to Ballydoyle in 1996 and he quickly established himself as one of the leading trainers in the world. O’Brien continues to enjoy tremendous success at home and abroad, winning the biggest races on a continuous basis. Aidan set a new record of 152 winners in a Flat season when crowned champion trainer 21st time in 2018. Dermot O’Leary’s television and radio work has made him a household name in the UK and Ireland. His high profile presenting roles have included T4 for Channel 4, his own BBC Radio 2 show every Saturday (winner of two Sony Radio Awards), and Big Brother’s Little Brother. Dermot also chaired the debate and interviewed party leaders for First Time Voters Question Time on BBC3. In 2007 Dermot landed the coveted role of presenting ITV1’s The X Factor, and has been on hand ever since to offer contestants support and encouragement, as well as holding the judges to account. Ryan is Vice President, Europe North | Immunology & HCV Lead, Western Europe & Canada for Abbvie, a company specialising in the creation of new medicines for chronic, serious health issues. Ryan is an Enniscorthy native with an inter-county hurling pedigree, a regular with his club the Rapparees, he featured in the sides that contested and lost county final in 1998 and 2001 and featured in the Wexford Senior team, first choice player with the county in 1999. Ryan was appointed Vice President, Europe North effective February 2017, and expanded his role to also include Immunology & HCV Lead, Western Europe and Canada, effective January 2018. Ryan is a Board Member of the Trinity Biomedical Sciences Institute, where innovative and interdisciplinary approaches are leading to scientific discoveries of biomedical importance. Ryan is graduate of the Dublin Institute of Technology and Trinity College Dublin where he received a BSc in Environmental Health and a Master’s in Business Administration. Mark is the Chief Executive of the American Chamber of Commerce Ireland. Prior to joining the Chamber , Mark was Chief Executive of the Irish Tax Institute and a Director with PwC. He is a member of the Board of the Clinton Institute, UCD and is a graduate of Trinity College Dublin and Dublin City University. Eamonn is Vice-President, Technology and Manufacturing Group at Intel Corporation and General Manager of Intel in Ireland. Eamonn joined Intel in 1991 and has held a variety of management positions in Ireland in the USA. 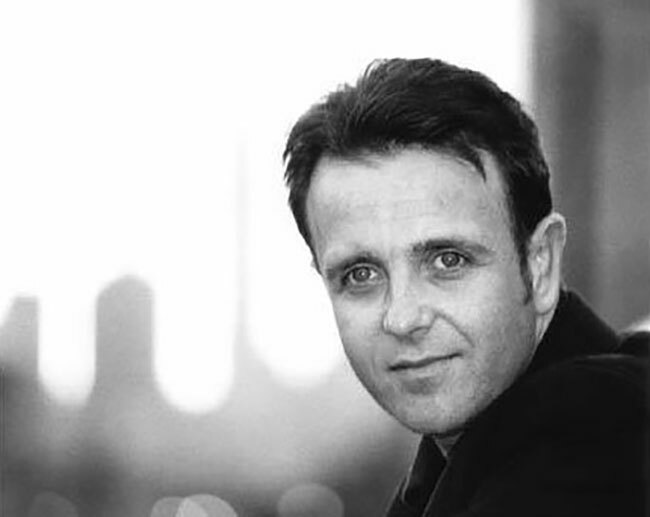 Eamonn received an MBA from University College Dublin in 2000 and a Bachelor of Science from Trinity College in 1986. He is a former President of the American Chamber of Commerce in Ireland and is a Fellow of the Irish Academy of Engineering. In 2015, Eamonn was conferred with an Honorary Doctorate of Philosophy from Dublin Institute of Technology. Born in Enniscorthy, Co. Wexford in 1955, Colm Tóibín is internationally regarded for his writing in fiction, non-fiction, theatre and for his editorial role in many publications. He is a member of the Arts Council of Ireland. Tóibín is currently the Irene and Sidney B. Silverman Professor of the Humanities at Columbia University and succeeded Martin Amis as Professor of Creative Writing at the University of Manchester. He was appointed Chancellor of the University of Liverpool in 2017. Billy is an outstanding sportsman who was born in Wexford Town. Billy developed a love of all sports from an early age and excelled at them all. During his boxing career, he won seven Irish Senior titles, and represented Ireland at the European and World Championships. He achieved his lifelong ambition by taking part in the Olympic Games in Seoul in 1988.